I’m at the part in The Cruel Prince where I just know some bombshell is about to be dropped, and I can’t read fast enough. Need some uninterrupted time! 😂 I’ll watch for your review. I’ve seen a lot of people gushing over the book so I have a good feeling! I think what I like best is the eclectic mix. Can’t wait to hear what you think of the ones you haven’t read yet. It’s a pretty good mix this week – I think one week it was all fantasy. That’s the reason I’m in a few book clubs also – to try genres I don’t visit very often or not at all. Definitely bizarre, Priscilla. Sometimes I’d laugh, then read such a profound statement, then on the next page get so frustrated with a character I’d be ready to put it down. But absolutely worth the read. I have another one of hers, The Coldest Girl in Coldtown, that I loaned to a friend, but haven’t read yet. I’ve only heard positive things about her books. 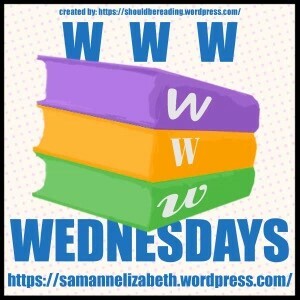 The Coldest Girl is SO different from The Cruel Prince! This is a perfect example of how different her books can be. Even more removed is her involvement in The Spiderwick Chronicles which I also loved. 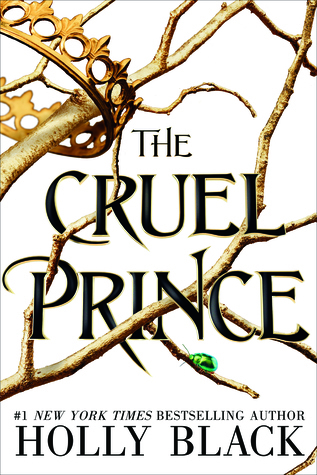 I read The Cruel Prince last year, my first Holly Black book as well but I was a bit disappointed. I think I was expecting too much because of all the hype and it wasn’t what I thought it would be like. Also, it’s only a few months later and I’ve forgotten most of the story. 🙈 I might pick up the sequel and see if I like it better but it’s not at the top of my TBR. Hope you’re enjoying it, though! I have to admit, seems like not much has happened yet, and I’m almost halfway through. There are hints of big things, so maybe it all happens in the second half. I started the cruel prince last summer, but i admit dnfing it about a 1/4 of the way through. it wasn’t bad, or anything, i just didn’t feel… interested to know more. And that sure is a great line – a good friend will bury you, but your best friend will dig you up…. it really is attention catching. I’m still waiting for some major plot twist, Jina. I can feel it coming, but not quite sure what it is, and I’m hoping it will make the book for me. And you’re right- that tagline is fantastic! Ooo, love that first line from The Past and Other Things That Should Stay Buried. Sounds intriguing, too. I may have to look at that one closer! Guess that’s one way to find out who your true friends are! Great list. I really like the sound of The Past and Other Things that Should Stay Buried. That’s gone right onto my to-read list. Thanks! That one stuck with me a few days after finishing it, Ryan. An odd, but enjoyable read. Hope you like it! It’s not one I’d typically pick up either, Laurel-Rain, but so many people recommended it, I thought I’d give it a shot. OMG… what a terrific line! No wonder it snagged you Teri. All of these sound terrific. Thanks so much for sharing your take on them with us. Mega hugs! Yep – couldn’t pass that one up, Teagan. So intriguing! 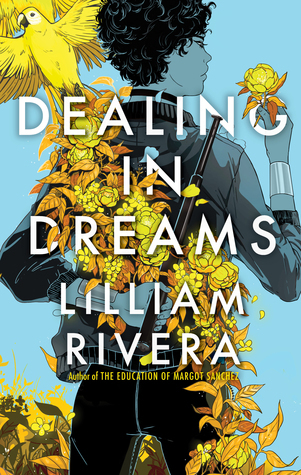 Dealing in Dreams looks good. I’ll have to check that one out! It’s different from anything else I’ve read, and that’s what snagged me, Jacquie. And that cover! I hope you enjoy The Cruel Prince. I didn’t love it as much as everyone else, but definitely enjoyed The Wicked King! Happy reading! At 50% through, I’m still on the fence about it, Victoria, but I’ll definitely finish it. The Past and Other Things That Should Stay Buried has an intriguing premise. I can see why you were drawn to that book, I am too! I know, right? Get that last chance to hang out with your ‘dead’ best friend and make things right. The Past and Other Things That Should Stay Buried sounds so good!! I had my doubts about it here and there, but that’s because it was such an unusual read – but I couldn’t put it down. I’m down to the last 100 pages – it still hasn’t really grabbed me, but I want to see what happens. Just finished it last night, Diana. Up until the 50% mark, not much really happens, but after that, the plot speeds up and there are quite a few twists. I’ll probably continue with the series – but have a lot of other books to read before I can get to The Wicked King.